When it comes to eating healthier there are many reasons why some might see it as a challenge. First there is the financial cost that many say are associated with it. Then there is the counting of the calories and trying to figure out how much of what to have each day. Thankfully there are books like The Budget-Friendly Fresh and Local Diabetes Cookbook to help you out on both counts. 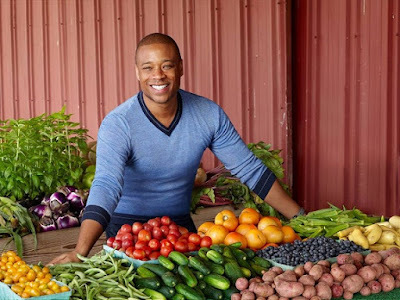 Don’t let the fact that Chef Charles Mattocks is a diabetic and that the book has “diabetes” in the title keep you from enjoying what it has to offer. This book is really for everyone. What he has done is shown how you can still have delicious food that is not going to break the bank but will give you the nutrients you need in portions that are feeling and delicious. He has taken a lot of the work on himself by telling you not just what is in each dish but what are some great alternatives that can be used as well. Chef Mattocks knows how difficult it can be to eat right and take care of yourself, so with the various menu ideas he gives you in this cookbook he makes it a little easier. He has done his part to help. The rest of the work is up to you. Listen to my interview with the Chef here. Get your own copy of The Budget-Friendly Fresh and Local Diabetes Cookbook on Amazon.com here. 1.Mix lime juice, garlic and olive oil in a glass bowl. 2.Add tilapia and marinate in refrigerator for one hour. 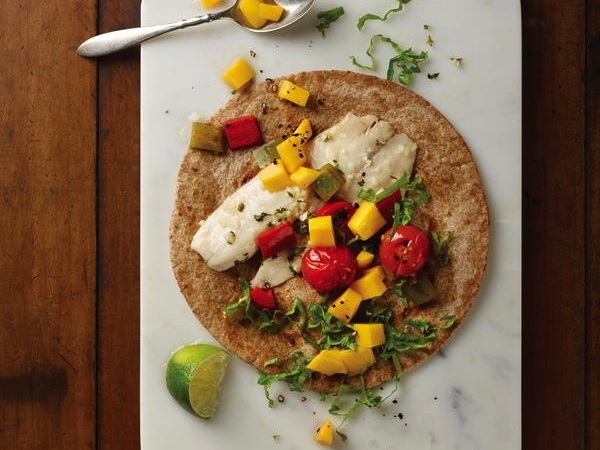 3.Place tilapia in a glass baking dish surrounded by green and red bell peppers, minced cilantro and tomatoes. 4.Bake at 350*F for 10 minutes or until fish flakes easily. 5.Divide fish and veggies into four servings and place on each of the warmed tortillas. 6.Top with lettuce, cubed mango and a sprinkling of black pepper. * Copyright (c) 2014 by the American Diabetes Association, Inc.
A new year begins another great chapter for Grammy award-winning recording artist Ciara. On Friday, January 27, 2017 it was announced that she was joining the Warner Bros. Records family. Throughout her 13-plus years in entertainment, Ciara has sold over 23 million albums and 16 million singles worldwide. Upholding an unbreakable string of smashes, her catalog boasts the No.1 hit "Goodies," Top 5 R&B chart hits "1,2 Step," "Oh," "Promise," and "Ride," and her most recent platinum-certified single and 27th charted hit "I Bet" from 2015's acclaimed Jackie. Known for her unparalleled dance abilities, Ciara's video archive showcases some of the most memorable choreography in pop music. 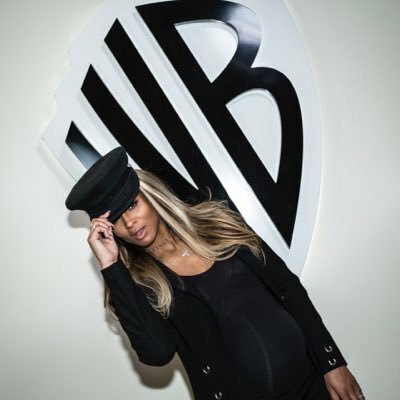 "We welcome Ciara to Warner Bros. Records and look forward to the next chapter of her storied music career," said Cameron Strang, Chairman and CEO, Warner Bros. Records. "So excited about my new label home," Ciara posted online. To celebrate this new chapter of her career and life she will be doing a Facebook LIVE chat on Monday, January 30th @ 3p.m. eastern (2p.m. central/12p.m. pacific). Fans were encouraged to submit questions with the #AskCiara hashtag. In true Ciara fashion, she also used the announcement of her new label home to offer some encouragement to her fans, especially the women. "This is truly a time where we can do anything,be anything we want" she wrote on Facebook. "There is No Limit! Dreams really do come true! I’m supercharged to make the World Dance again!" With the new year a new show hit Amazon Video this month: Z: The Beginning of Everything. Starring actress Christina Ricci, who was inspired by the story after reading Z: A Novel of Zelda Fitzgerald by author Therese Anne Fowler, the series takes us into the lives of Zelda and F. Scott Fitzgerald, from their courtship in Montgomery, Alabama, to their splash onto the New York social scene. Recently actress Christina Ricci walked the Amazon Prime Red Carpet and spoke with Frankie Grande and Rachel Smith of Amazon's live show Style Code Live to talk about her new show and more. "It was amazing," Ricci told them when discussing bringing Zelda to live. "I did so much reading in order to develop the series, I had so much information about her in my mind. And that really allows you to relax and trust yourself to behave in a spontaneous kind of impulsive way that lends so much to the part. So, It was intimidating, but I was so scared I did so much research that [I felt like] I was covered." Stay connected with Christina Ricci and Z: The Beginning of Everything online. 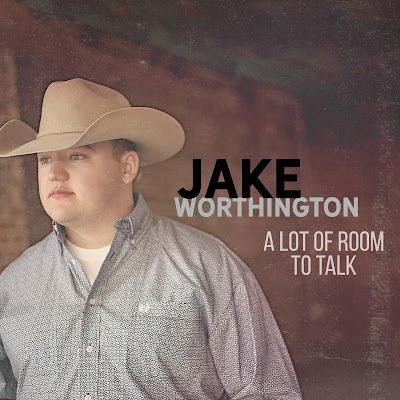 Since appearing on The Voice and garnering fans around the world, recording artist Jake Worthington has kept Country Music lovers satisfied with music from his self-titled EP including songs like DON'T LET THE REDNECK FOOL YA and JUST KEEP FALLING IN LOVE as well as 2016's HOW DO YOU HONKY TONK. Now with the new year in full swing he releases his single A LOT OF ROOM TO TALK (out now)---and it is sure to be another song that we keep talking about. Unlike some of the music he is known for, Worthington takes on the darker side of relationships that don't work out---and gives voice to the one who messed up and is dealing with the consequences. "There's an echo in this room," he sings, "that just won't let me be." What he hears is "all the angry words" he spoke to the woman he said he loves, and now he's understanding the power they had. "I can hear them in the halls. They're bouncing off the wall... Can't believe it's come to this, all this emptiness." The realization is setting in. "I should have listened more to her," he admits. "I guess I got what I deserved. I sure do hear her now." And then there are the questions we all ask when we realize our part: "What good is pride now that she's gone? When did our house stop being home?" With us being alone, we realize as the song says "Now there's too many 'what ifs', opportunities I missed and a lot of room to talk." I have to be honest and say that I can play this single easily on repeat, and I know I won't be the only one. The story it tells is one that reminds us to cherish what we love before it's too late. "I always thought she'd be around," the song admits, "never planned on missing her." Maybe we will do as Jake sings and "look into the past and learn from my mistakes." Maybe we'll get the opportunity to "admit it when I'm wrong." 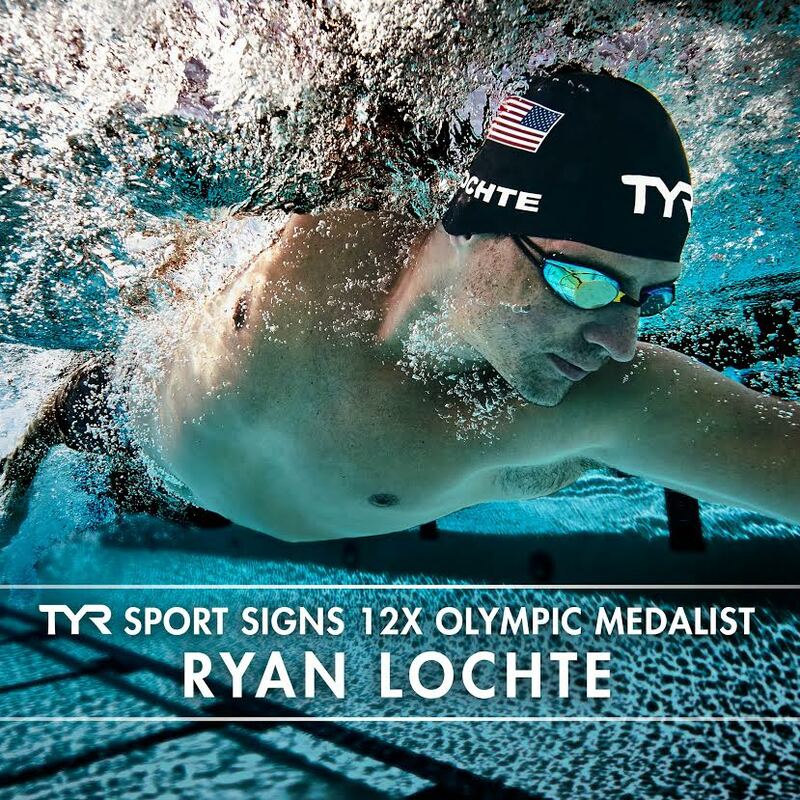 In this case it doesn't seem to be enough so he says he'll "find the strength and move on." His hope? That he'll "grow from this but for now there's emptiness and a lot of room to talk." Get ready for another song that will be a favorite on your playlist. A LOT OF ROOM TO TALK is sure to be one you continue to play through the year. 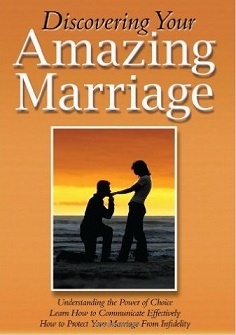 Listen to a snippet of A LOT OF ROOM TO TALK and get it for yourself on Amazon.com here. Stay connected with Jake Worthington on Facebook, Twitter and Instagram. I think pretty much everyone knows that my sense of humor is not the best, but when a movie can make me laugh, think and get inspired it is definitely a 5-star experience for me. 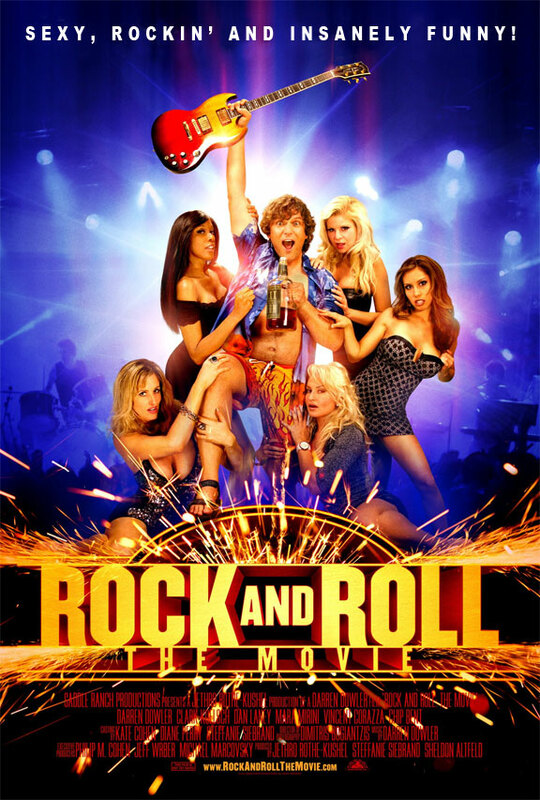 With ROCK AND ROLL: The Movie you have a story that is all about possibilities and people's perceptions of you---and if you are going to allow them to define you. That is true in the case of the character David Roso in the film who wants to make his mark and prove others wrong in his quest to be an agent. It is also true of his reluctant client Steve Taylor (played by Darren Dowler) ---and what he has been told about himself and what he has come to then believe about himself. The two of them don't realize it at first, but they are exactly what the other needs. Humor is a big part of this film, but the message can't be denied. If you want to succeed at your goal or dream sometime you have to be willing to risk it all. Otherwise if you just play it safe you will never do everything you should to turn your goal and dream into a reality. David realizes this early on. for Steve it is a slower process it seems, but when you have others pushing you, encouraging you to take a chance---it definitely becomes easier. Like I said I am not known for my sense of humor, but I could look past some of the campier moments of this film and see a message that definitely spoke to me and I believe will speak to others as well. 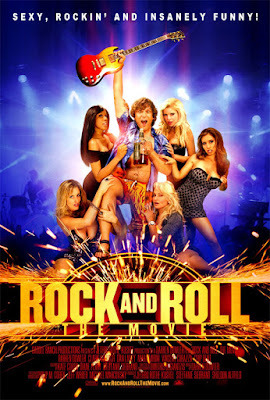 Rent or purchase ROCK AND ROLL: The Movie on Amazon here. 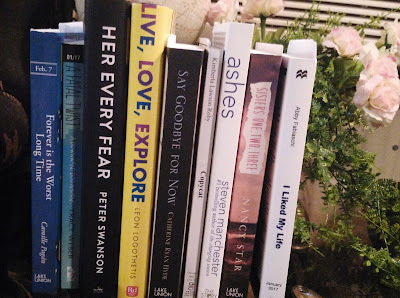 Each year I easily read 200 books or more of various topics either for my own reading enjoyment or because of individuals coming on the radio show Conversations LIVE. 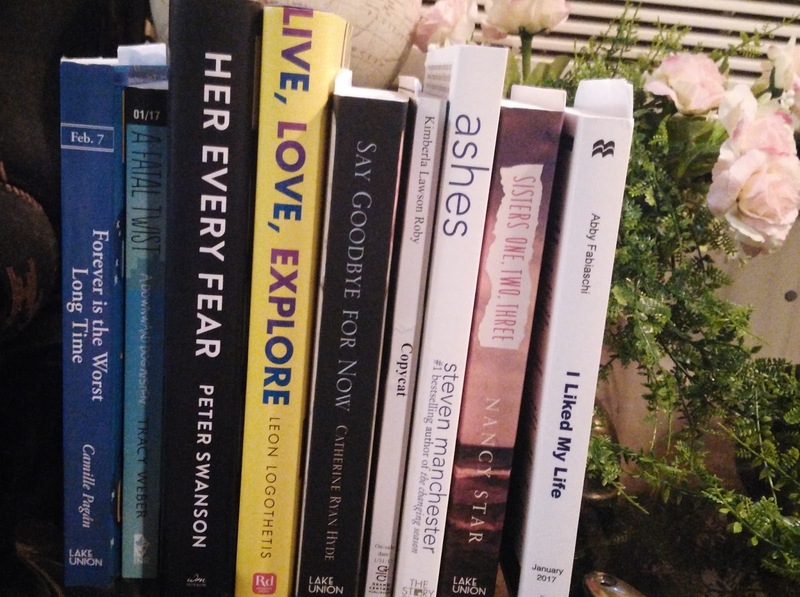 Over the years I have gotten comfortable enough in myself that I decide quite easily who I choose to feature and whose book I will take the time to read and share with my growing audience. I understand the responsibility that comes with the platform that I have, and so I do the best I can to share things that are entertaining, thoughtful and will be great conversation pieces with others. Bestselling author Tony Lindsay is someone who over the past decade I have come to look forward to reading every time he releases a book. His fiction has always taken the reader to places we're not used to going and his non-fiction has been poignant enough to make readers reflect. 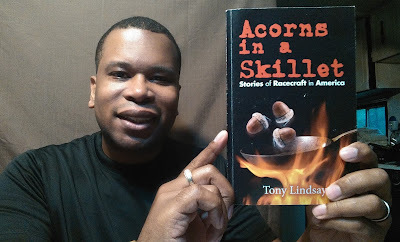 In 2016, however, he announced the release of his latest offering ACORNS IN A SKILLET: Stories of Racecraft in America. Now anyone who knows me will attest to the fact that conversations about race are not the norm for me. Not because I think they shouldn't be discussed but it normally happens in situations where the individual's personal experiences and passion lead the discussion rather than individuals actually trying to connect with one another over what is being said. For this reason when I first got the book in the mail I read the back of the book and that was as far as it went. 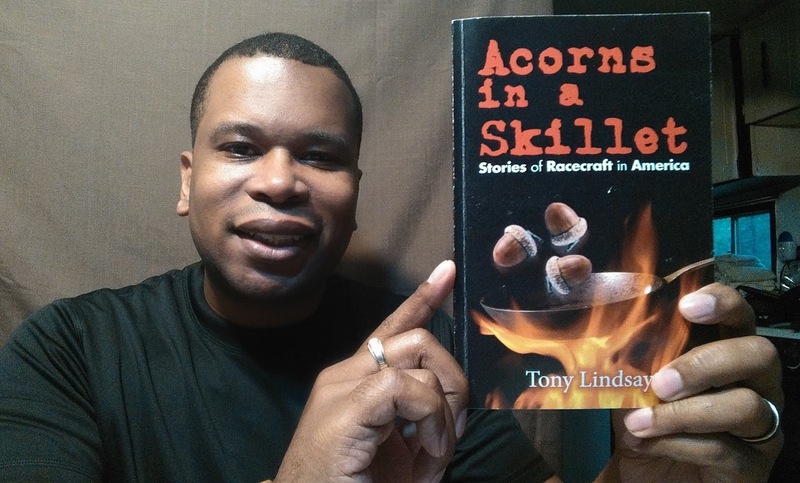 What was Tony wanting to achieve with this collection of stories dealing with race? Was it something I would feel comfortable discussing? Would I enjoy enjoy the book and his direction? All of these were questions I pondered, and because of the thought of what it could be I neglected reading the book for months. In hindsight I realize that my reaction to the very fact that Tony Lindsay---someone I respect---had written a book dealing with race is exactly part of the problem that exists. The truth be told I didn't even give it a chance to speak for itself. I had made a decision based on what I THOUGHT it MIGHT be about rather considering what it actually was. Now that I have read the book I can say that it is something that not only deserves my attention but has to be shared. What he has done is laid out situations that are all too real based on perception, bias and the idea that we can't understand or appreciate someone who is different than us. Take a look at my Amazon review here and then I invite you to try ACORNS IN A SKILLET for yourself. I think you might find as I did that it time well-spent with a book. 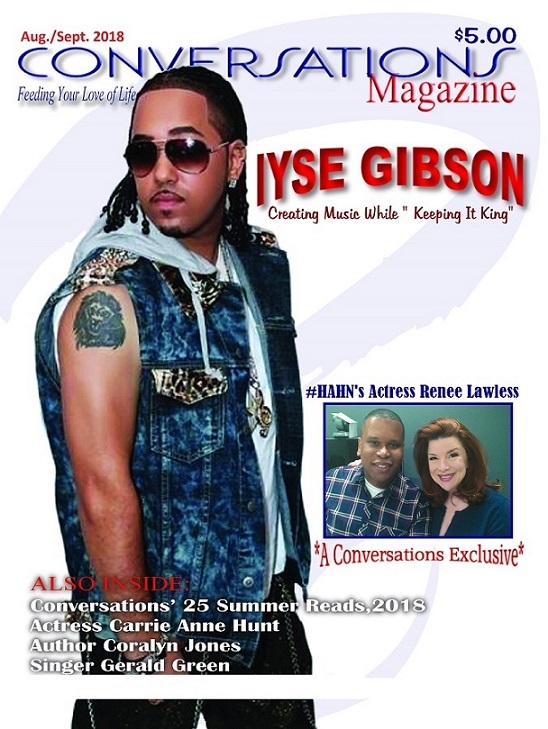 Cyrus Webb is the host of Conversations LIVE radio show and the Editor-In-Chief of Conversations Magazine. 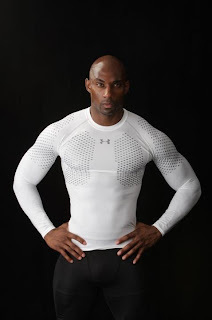 He can be reached at cawebb4(at)juno(dot)com or at www.cyruswebb.com. 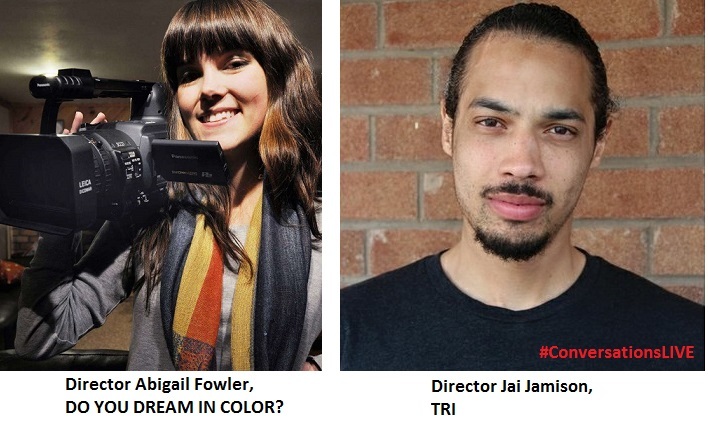 Recently #ConversationsLIVE host and #ConversationsMag Editor-In-Chief Cyrus Webb spoke with filmmakers Abigail Fuller and Jai Jamison about their love of telling stories through film and what it's been like to see the response to their work. Abigail Fuller talked with Webb about her film DO YOU BELIEVE IN COLOR. "It's been a powerful experience to be able to screen the film nationally," she told him about the response to the story she has been able to share. Telling stories through film is something she knew she wanted to do. "It's something that I've always been drawn to and really can't remember a time when I wasn't pursuing that," she says. You can listen to the full conversation below. Filmmaker Jai Jamison discussed his project TRI. 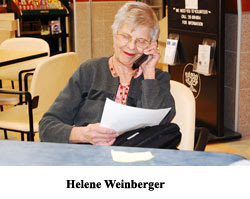 "I knew from a very young age that I wanted to tell stories," he told Webb. 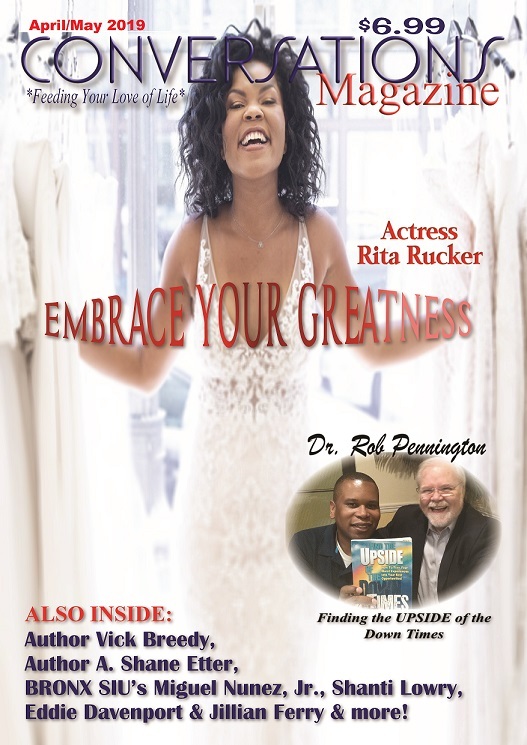 The two also discuss the importance of recognizing the journey and appreciating where you have been as you continue to move forward. You can listen to the full conversation below. Avery*Sunshine, whose single, "Come Do Nothing", premiered on Essence.com last fall, was honored with a "Women of Impact" award a few weeks before she goes on tour with Musiq Soulchild, Lyfe Jennings, and Kindred the Family Soul. This past Sunday, she was recognized for her hard work and dedication in the music industry along with other influential women including special guest, Karen Civil. The singer/songwriter/pianist whose eclectic mix weds soul, gospel, jazz, and R&B said "I'm excited and grateful to be acknowledged for doing something that I feel that I'm supposed to do. She continued by saying "it makes me want to continue doing more." Fans can hear her new single and favorites, from her body of work, during the 22-city NuSoul Revival Tour that kicks off on Feb. 3rd in Raleigh, NC. Visit www.NuSoulRevivalTour.com to find out where to purchase tickets and to see where she will be performing. To find out more about Avery*Sunshine, visit www.averysunshine.com. About The Tour: Musiq Soulchild will headline the tour following an exciting 2016 which included his seventh studio album, Life on Earth entering the US Billboard 200 at #27, his single "I Do" reaching #3 on Billboard Top R&B/Hip-Hop Albums, and performing in the highly anticipated musical adaptation of the cult classic, Love Jones. He will be joined by platinum-selling R&B and soul singer-songwriter, Lyfe Jennings; beloved Grammy Nominated â€œFirst Couple of Soulâ€, Kindred the Family Soul and; Multi-Award Winning Artist, Avery*Sunshine whose loyal fanbase includes music icons Aretha Franklin, Baby Face, Teddy Riley, Jazzy Jeff, and Patti LaBelle. Also appearing on the tour, in select cities, are Grammy Award-Winning singer-songwriter Chrisette Michele, Grammy Nominated singer-songwriter and record producer Dwele, and Grammy Nominated group, The Foreign Exchange. The NuSoul Revival Tour seeks to send the message that "Good Music Still Lives! " while continuing to support artists whose music is the soundtrack, and in some cases, a blueprint of areas of our lives. It also seeks to raise awareness for Alzheimer's disease which affects over five million individuals in the United States. Visit www.NuSoulRevivalTour.com to find out where to purchase tickets. **All dates, venues, artist line-up, and on-sale information are subject to change. On December 14, 2016 international recording artist Cheri Maree took to social media to announce her newest creation: a book! Now, it is with great pleasure that she shares details about---as Steve Harvey says in his latest book---her “Jump” with the world. 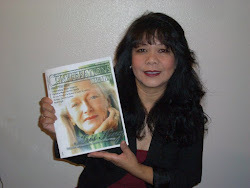 Cheri’s labor of love in book form is called WEALTHY WOMAN’S STEW. 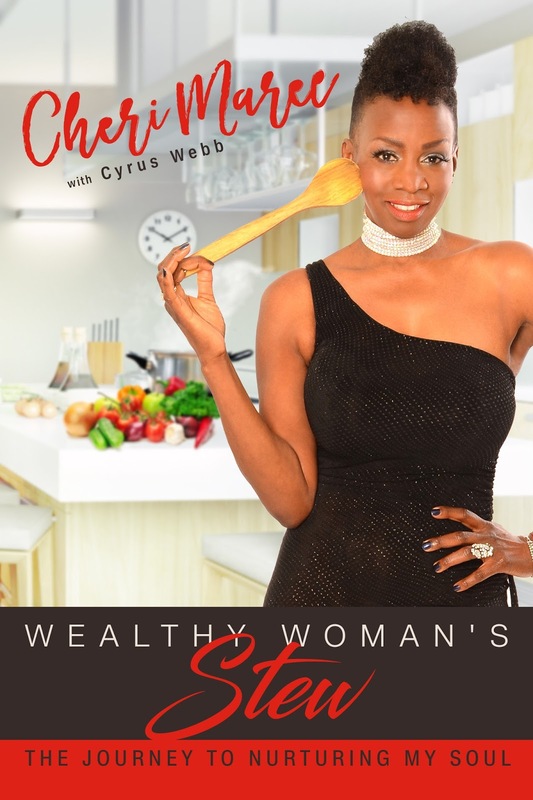 Co-written with media personality and author Cyrus Webb, the artist delivers her most powerful and personal project to date: sharing what were her darkest moments in life and how a dish made of eight simple ingredients gave her the jumpstart she needed to turn her life around. WEALTHY WOMAN’S STEW will be officially available worldwide on February 14, 2017 on Amazon.com in print and for Kindle readers. 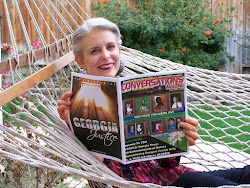 Look for Cheri to be sharing details about the release and opportunities to connect with her in person and online soon. Information about pre-orders of the book will be coming soon. In the meantime, Cheri is available for speaking engagements, interviews, performances and panel discussions about the importance of loving oneself and getting back to a palace of wholeness. Stay connected with everything “Cheri Maree” on social media @cherimaree, by email at cherimaree@gmail.com and her website www.cherimaree.com.